What's Said in Vegas at WOMMA Confab Will Definitely Leave Vegas! 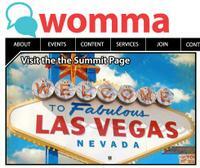 Off to the Word-of-Mouth Marketing Association (WOMMA) Summit in Las Vegas starting tomorrow. If you are there, look for me and we'll catch up. I'm delivering a keynote on Friday. The agenda looks fabulous, and I'm proud to be associated with this group! More information on the conference here. Social Networks: Do consumers want to be your friends? The Influencer or Network? : What Matters More? 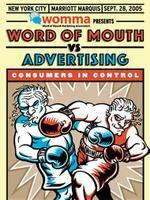 Who Owns Word of Mouth in the Marcom Mix? Who Should? What’s the ROI on Word of Mouth? This year we will feature the great stories behind word-of-mouth, including content from Microsoft about the impressive, buzz-generating launch of the Xbox's Halo 3. Also on hand will be the head of WOM-powered Cranium Games and many others. Here's a short video I prepared in anticipation of the last WOMMA summit in New Orleans which includes a host of enthusiastic testimonials from attendees. Last week I found myself "rejuvenated, refreshed, and reinvigorated" after attending a quarterly board meeting of the Word-of-Mouth Marketing Association (WOMMA) -- so much so that I dedicated this morning's ClickZ Column ("Passionate Faces in the Conversational Crowd") to my post-meeting observations. It's wasn't just WOMMA, per se, but the issues and themes we tackled, and the diverse medley of stakeholders who discussed and debated them. Importantly, word-of-mouth continues to evolve in powerful new ways, enabled by new technology, social networks, and of course deeper consumer experience (and practice...and repetition) in expressing oneself. Because WOM touches so many diverse stakeholders (marketing, PR, research, advertising, interactive marketing, external relations, various agencies and measurement firms), it's beginning to soften organizational silos, drive greater cross-platform integration in marketing campaigns, recalibrate the nature and definition of an "agency," put long-overdue focus on operational issues like customer service, and open up windows into new ad models (many good, some bad). Wikipedia Extends the Definition: And even right before our eyes, we're seeing a powerful new definition of WOM emerge in Wikipedia, now inclusive of "text messages sent via SMS and web dialogue, such as online profile pages, blog posts, message board threads, instant messages and emails." Some prefer the term "conversation." Others prefer "social media." I tend to focus on the online trail of consumer-generated media. But at the end of the day, we're talking about offshoots and line-extensions of word-of-mouth. Consumers are talking, offering opinions, making recommendations, solidifying their voice through the concurrence and reinforcement of others -- and using every available tool at their disposal to get their point across. Brave new world! We'll tackle much more of this at next WOMMA summit in Las Vegas November 14-15. Again, here's the article in ClickZ. My father is 83 years old, and he spent the better part of his career, starting in the late 50s, in the advertising business. In some respects, he was one of the original "Mad Men," and he actually worked for the same firm, BBDO, rumored to be the setting for the AMC series. Like me, he's been watching the series with both a curious and critical eye. In the good spirit of home-made CGM, I turned on the video recorder while visiting him a couple weeks ago and asked him to share some thoughts. In this first installment, he reflects on elitism in the advertising industry, drinking culture, how concepts and ideas really came to fruition, and the nature of agency-client interaction -- all themes right smack in the center center of AMC's Mad Men. Top Marketing Blogs - A First Cut! This digital space continues to evolve in new and exciting ways. Just yesterday, the Nielsen company announced it will purchase the remaining outstanding shares in the firm in which I work, Nielsen BuzzMetrics. As part of the arrangement we'll be combining with NetRatings, a leader in Internet audience measurement, to form a unit providing measurement and analysis of consumer behavior in the space. These two cornerstones of consumer engagement -- speaking (CGM) and surfing (audience/site measurement) -- have the potential to tell a more complete story about consumer behavior, and I'm quite excited to be part of any effort to bring more holistic, integrated analytics to the table for customers.